Crockpot Italian Chicken is back! I love using my crockpot, especially when I am lazy, which was yesterday. I don't think it helped that the little man has a bad cold (heading to the doc this morning), which always just seems to turn your day upside down. I'm keeping my fingers crossed it is nothing serious, because he has his 1st Birthday Party to attend on Sunday! Yep, he's turning #1. Hard to believe. Anyway, back to the chicken. This is an easy, peasy, meal, and usually will satisfy anyone's dinner cravings. It's even gluten free if the correct pasta and sauce are used. Spray interior of crock pot with cooking spray. Pour some spaghetti sauce on the bottom, enough to cover the bottom of the pot. Lay chicken breasts in (I put mine in frozen). Sprinkle garlic over the chicken breasts, and pour more spaghetti sauce in, enough to cover the breasts. Cook on low for 6 hours, or high for 4 hours. 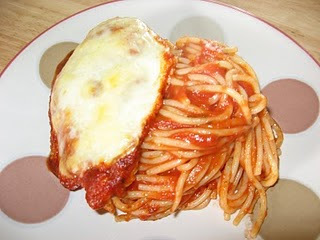 When chicken is done, pour the spaghetti sauce out of the crock pot and into a baking pan. Lay chicken breasts in pan, sprinkle with parmesan cheese and cover with the sliced mozzarella cheese. This can then be baked right away, or put in the fridge if you are not eating until later (that is what I did!). Broil for just a few minutes until cheese is golden. Now, I LOVE the traditional chicken parmesan, but this is healthier and a little less time consuming, therefore it hit our plates last night! Stay tuned for birthday festivities this weekend! great recipe! I'd love to try it out soon! Great idea! Love using the crockpot! so excited that it's crockpot season once again (it is, right?) 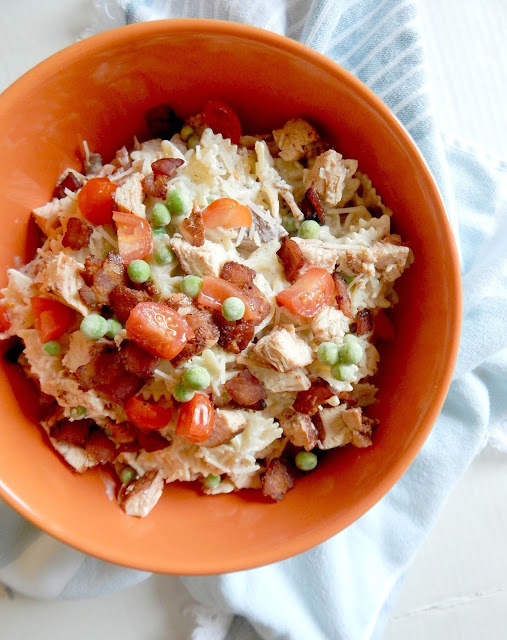 - can't wait to try this easy and delicious looking dish! happy 1st bday! This looks great....making me crave it! Happy first birthday to your little guy!!!! I love using my crock pot - although I never use it in the summer! HAPPY 1ST BIRTHDAY TO THE LITTLE MAN! It goes by so quick - my daughters next birthday? 19! Hope you have a fun day planned!